As a small island community, the news in Iceland can sometimes be rather quaint. Read on for a roundup of a few curious news items from the last week; from LA New Age hippies invading the Eastfjords to needle-wielding knitters bombarding Scotland. We’ve got it all! While talk of strikes and protests grab headlines in the Icelandic press, Icelanders still never quite take a rest from sweating the small stuff, like who created the first hamburger in Iceland or which Easter Egg to buy this year? Results from a recent survey carried out by the international travel agency network, Virtuoso, reveal Iceland to be the fifth most popular luxury travel destination in the world. According to Virtuoso, 2019 is the year for ultra-personalised VIP travel packages and Iceland is the clear choice for many, especially when it comes to adventure and millennial destinations (See results here). Tourism in Iceland has seen unbridled growth in the last nine years thanks to the 2010 Eyjafjallajökull glacier volcano and Icelandic scenery being used in big-budget film productions such as The Secret Life of Walter Mitty and Game of Thrones. And probably, most significantly, the success of Instagram. Popular attractions such as the Blue Lagoon now offer VIP service such as the Retreat Hotel and Spa which provides you exclusive access to the silica-rich waters of a private lagoon, only accessible to Retreat customers. If you want to experience the natural beauty in true style, you can opt to do a helicopter tour or a 6-day snowmobile tour. The self-described ‘boot camp to the stars’, The Ahram, will be holding session in the Breiðdalur valley this summer, in the East of Iceland. Operating out of California since the 1970s, The Ashram has welcomed superstars such as Oprah, Barbara Streisand, and Gwyneth Paltrow. The retreat is usually based out of “an oasis of health and tranquillity” in California, however, this summer, co-founders Catharina Hedberg and Dr Anne Marie Bennstrom are shrugging off the sunny and sandy sights of Santa Monica in favour of the clean air of Iceland. Hedberg said, in a comment to Vogue magazine, “It’s way, way, way out there in the mountains. It still is a place that has clean water, clean air, clean energy… I’ve never seen such a thing.” The group is so excited that they’ve put aside their normally strictly vegetarian menu in favour of Icelandic trout which will be locally caught close to their lodgings in Breiðdalur. A week at The Ashram in Iceland will set you back $5800 (excluding airfare). 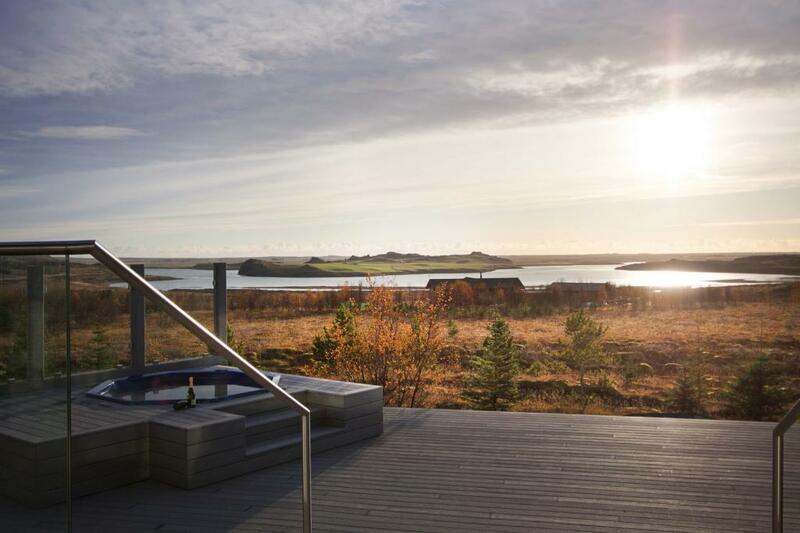 If you fancy a holistic retreat to Iceland that costs less than half the Ahram prices check out this six-day yoga retreat. Some other people who are getting excited about home-made knitwear are the near 400-Icelanders in attendance at the Edinburgh Knitting Festival. 400-people! That might not sound a lot but that’s 0.001% of our population. That might not sound like a lot either but if 0.001% of the people in the UK or France went somewhere, that would constitute around 76,000 people! Throughout the centuries, knitting has been an invaluable skill for Icelanders. The quintessential Icelandic jumper is world-famous and perhaps on your wishlist for souvenirs from Iceland. However, the native knitting community isn’t all about the classic jumpers and cutesy mittens. There are many different Icelandic Facebook knitting groups, dedicated to sharing patterns, new techniques and showing off of the latest masterpieces. Undoubtedly, the close to 400-Icelandic knitters will return from Edinburgh with a wealth of knowledge to share with the local knitting community, continuing the centuries-old evolution of knitwear in Iceland. If you’re a knitting enthusiast, you can pick up some high-quality Icelandic wool from Álafoss as well as authentic Icelandic patterns. Icelandic chocolatiers at Onnom Chocolate have created an incredibly cool Easter ‘Egg’ this year which is available for preorder for a limited time only. 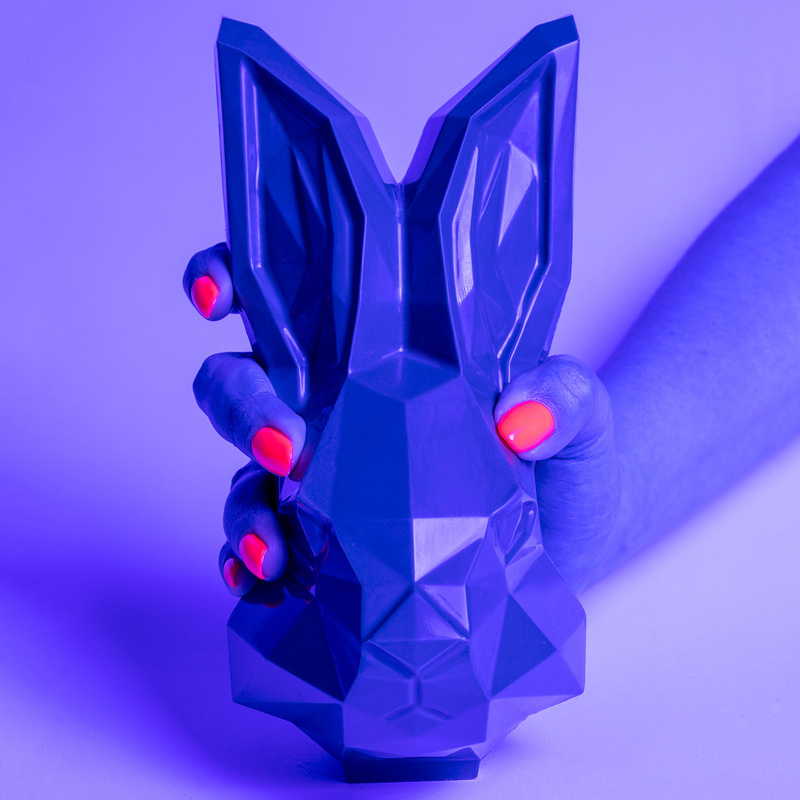 The Easter product is affectionately called Mr Carrots and it is a geometrically stylish rabbit’s head made of chocolate, with a slight Donnie Darko demeanour. Each rabbit is handmade from delicious liquorice chocolate and the design of this special seasonal release is said to have taken two and a half years to perfect! You can preorder your very own Mr Carrots, here. A heated dispute has erupted on Facebook over the first hamburger to be made and sold in Iceland. The controversy began following a broadcast on the Icelandic TV channel Stöð 2 which declared that the first hamburger to be sold in Iceland was in 1960 in the fjord, Hrútafjörður. The bold statement prompted an outcry from many Icelanders claiming to have been introduced to the humble hamburger far earlier and nowhere near the fjord Hrútafjörður. One argued that the first hamburger was, in fact, marketed on the Westman Islands. The archipelago just off of Iceland’s South Coast claim is justified by the amount of foreign traffic to move through the island leading to a wealth of sailors and travellers landing there and consequently sharing their exotic culinary creations. Book yourself an Westman Island adventure, here. Print evidence has proven that there were hamburgers sold in Reykjavík as far back as 1941, quietening the bickering. This does not seem to be a purely Icelandic problem and there are many disparate claims to the invention of this famous sandwich in America too. If you’re visiting Reykjavík, the top places you can go to try an Icelandic hamburger are the traditional burger joint Hamborgarabúlla Tómasar, the cafe, restaurant, bar, and all-around cool dive, Prikið, as well as the charming gastropub Sæta Svínið (which is a slightly pricier option but excellent quality). Do you have a favourite news piece to come out of Iceland? Be sure to leave any questions or comments you may have in the Facebook comments box below.